[Author’s Note, April 2017] Thanks to the many, many parents who have read this post, commented, or contacted me privately for more information about our experience with the Brain Balance program. I know all too well the stress of trying to do the best you can for your children, but unfortunately I am no longer able to respond to each inquiry personally. However, I have written a follow up post, which is intended to answer the most common questions I’ve received from parents. Best of luck to you. About a month ago, I pried myself away from my kids on a Saturday morning to attend a Gluten Free Expo about an hour away. I was a little disappointed at first – it seemed like everyone there was trying to offer the best chocolate chip cookie, but not much else. After awhile I reconciled myself to the fact that many people want gluten alternatives, but they are not necessarily interested in making other changes to their diet. I found that really hard to relate to, since my own personal gluten-free journey was triggered by health issues that necessitated a lower-carbohydrate diet, not just the elimination of gluten. Towards the end of my walk through the Expo, I came across a series of bio-medical services, information about a local conference on autism, a few cute kids’ books, and a center called Brain Balance. I was a little saturated at that point, but it seemed worth further consideration, so I took a brochure. Later, in reviewing all the materials and talking with my partner, we became intrigued enough to schedule an initial evaluation for our son. The testing at the center involves a wide range of activities – everything from responsiveness to computer-based stimuli, physical activities, and smelling! We filled out mounds and mounds of subjective tests to supplement what they were learning about our son in the lab setting. One of the main outcomes was to ensure that our understanding of him is consistent with what the test results show – which it is. So there were no major hurdles to overcome in order to get us on board with the challenges he’s facing. As part of that initial visit we also received a copy of the book called Disconnected Kids, written by the doctor who invented the program, Dr. Robert Melillo. I committed to read the book before we went back for the test results a week later, and the material was really compelling. One of my favorite passages in the book was one about Albert Einstein’s learning disabilities. Apparently he didn’t speak until the age of seven, and he wasn’t able to get into graduate school so he got a job in the Swiss Patent Office. Six years later he published his first draft of his Theory of Relativity. The basic argument is that there is an explosion of childhood neurological disorders today, and that we continue to diagnosis them much as we did in the 1950s. Furthermore, our understanding of the brain has evolved so much, and yet the treatment programs remain basically unchanged. For example, the cerebellum refines the movements and thoughts that come from the executive center of the brain. And there is a 13-17% size difference (delayed maturation) for kids with neuro-developmental delays. What have we done to act upon that knowledge? Nothing – or not enough! Furthermore, the kinds of services available to our son through his IEP (Individualized Education Plan) at school are accommodations. That is, they will provide him with the best possible conditions for academic success – but as long as he is doing well academically (he is!) the services have accomplished their goal. Dr. Melillo argues that Tourette’s Syndrom, dyslexia, ADHD, autism spectrum disorders and others share common characteristics. This is consistent with how Oliver Marks describes these conditions in his essay An Anthropologist on Mars (written about Temple Grandin). Another thing that my partner found particularly compelling is that a diagnosis of PDD-NOS (Pervasive Development Delays – Not Otherwise Specified) could manifest as Aspberger Syndrome or ADHD later in life. So the symptoms may vary, but the root cause is the same; the right and the left hemispheres of the brain are not in sync. It is a timing issue, and the issues that manifest in these kids are about the dependence and interdependence of the senses. He will never be able to fully adapt (exhibit appropriate behavior) if one part of his brain is overactive and another part is under-active. 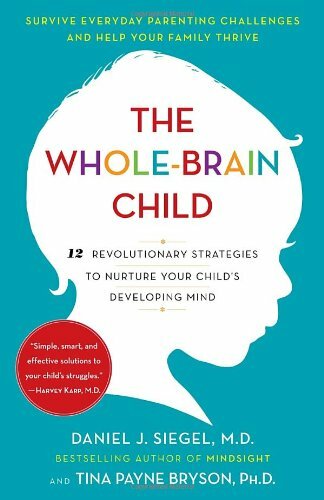 Dr. Melillo coined the term Functional Disconnection Syndrome (FDS) to describe this condition, and he argues that if we first focus on addressing the underlying problem (and not the resulting behavior) we can actually substantially improve the brain function (and ultimately the behavior and the lives) of these kids. Although the test results for our son were quite interesting to us, I don’t want to share them here – though I’d be happy to share them individually with interested parents I know whose children might benefit. Suffice it to say that all the results deeply reflected what we knew about our son, but provided us with a completely different lens through which to understand him. For kids on the autism spectrum, one of the things that characterizes them is that they are very smart, and they are perceived as having no social skills. In FDS terms, the left brain (intellect, problem solving … but also perseveration, rigidity, difficulty seeing others’ perspective) is operating at age 7, and the right brain (emotion, behavioral control, integrative thinking) is operating at age 3 or 4. In super simplified terms, the left side says GO and the right side says STOP. So, the way the doctor at the center explained it to us, imagine there are two giant gears (left and right hemispheres of the brain) rotating next to each other. The left brain experiences something (my brother took my toy!) and the right brain reacts (whack!) before the clutch actually kicks in to connect the two hemispheres and enable him to choose STOP. So, our oldest is remorseful (because eventually the two halves do connect), but his self-esteem continues to be diminished by time-outs for behavior that he can’t – literally can’t – control because of the disconnect between the two halves of his brain. As a result of this loop, the world is basically an insecure place for our son – so he is anxious (always in fight or flight). That is also why he is rigid and craves predictability. The goal of the Brain Balance program is to develop a plan that will build up his ability to shift gears in a timely way that enables him to exhibit socially appropriate behavior. Other things in the test results that resonated for us were around his spatial awareness. In some areas he is still operating at the level of a toddler. For example, if you spin him around rapidly in a desk chair, he loses his awareness of his center or core, and he ends up slumped to one side. In addition, we experience him as either sedentary or hyperactive. His gross motor skills seem ok to us, but part of the reason for the crazy movements he makes sometimes is that he is struggling with locating own body in space. The way the doctor at the center explained it to us is that when you’re riding a bike, if you pedal fast enough you stay up. That is one of the reasons why he exhibits the hyperactive moments. One of the many interesting things in the book is that our nutrition and screen-focused lifestyle has exacerbated these childhood disorders. Gravity enables us to get a sense of one’s own body in space – it is hugely important! Basically, if we don’t move, our brain can’t learn. We have also experienced that our son is extremely sensitivity to noise, but lack of response to smells (in spite of his sniffer testing just fine). One of the other areas is OPK (optikenetic). There is no problem with his eye muscle movement, but because the timing between the two hemispheres of his brain is off, his sense of timing is off. Inattention and impulsivity are symptoms of this optikenetic disconnect. In other words, the individual sensing instruments (eyes, nose) work fine, but they don’t work together holistically. The kicker – besides the fact that he could not even do Dance, Dance Revolution at this point – is that until he has appropriate brain-body connection for himself, he will not ever have it with others. In other words, his ability to develop the appropriate social and emotional behaviors depend on addressing the underlying imbalance between the two hemispheres of the brain. Along those lines, the doctor who explained the test results to us also recommended the work of Daniel Seigel, who is neuro-pyschiatrist that focuses on interpersonal neurobiology. The program also includes a nutritional evaluation for leaky gut and/or allergens in the diet. We’re looking forward to learning what else we can do from a dietary perspective. So … what’s not to love, right?! Well, the initial testing is a few hundred dollars, but the program itself is $5000 for twelve weeks, and they believe he’ll need to go through the program more than once. That’s $20K a year … for an after school program! The other real kicker is that Dr. Melillo is a chiropractor, dammit. In his initial book he looked at over 3500 medical articles in fields like neuroscience which inform our understanding of the brain and how it develops. Through that research he developed this practical program. That said, I remember learning about Thomas Kuhn‘s The Structure of Scientific Revolutions in graduate school. He basically argues that scientific disciplines get stuck in ways of looking at and solving problems, and that there are then paradigm-shifting moments that often come from outside those specializations. I firmly believe this (it’s part of the reason we put our son on a gluten-free casein-free diet long before it was recommended by any doctors) because parents of kids on the spectrum found that it worked, wrote about it, and finally pressured the medical establishment into proving that yes, in fact, kids on the spectrum do have a higher rate of leaky gut and other things that make them especially sensitive to certain foods. So … he’s a chiropractor. Whatever. If the program works, who cares? He seems to be keeping good company with the brightest minds in the field of neurological research (Daniel Goleman, the author of Emotional Intelligence, for example), so that should speak for itself. Right? Right. Thanks Shelley – great to get the positive feedback, and thanks for passing it along to others who will get value from it. There nothing like holistic thinking to solve some of the world’s toughest problems. 🙂 If you haven’t read it, you might also enjoy another earlier post called Wheat Belly, which explains some of the science behind why I and my son are now both on a gluten-free diet. Read your article and this program sounds interesting. Lea’s children have had a small taste of that theory when they had a teacher in fifth grade Mr. Hangman. When we went to grandparents day at school he explained how he tries to teach the children to use both sides of the brain. I think we should do more studies on this. I hope the program helps your son. I can’t wait to hear more. Hi Natalie, I am also very interested in your experience. I have a 7 year old on the spectrum as well. If we could chat offline even, that would be most appreciated. Thanks! Hi Natialie, I was happy to read that Brain Balance was so positive for you. I was wondering if you’d share some additonal information, either directly or via a post. AND, what were the greatest benefits from your perspective? I just learned about Brain Balance the other day from a coupon site, and decided to do a little research … and found your site. I would love to learn more about your experience with your son … in particular what goes on during the 12 week therapy. … the types of activities/exercises, etc. I’m considering the program for my 15 yr old son. I’ve just read this book – any luck anybody? My son is 16. His problems with ADD have haunted him all his life. I’ve searched for ways to help him and would love to know your experiences. Cheers! I, too, would love to know the results of the initial test, post 12 week treatment, and anything you can share about what goes on for the 12 weeks. I have both books and am intrigues for my 3 year old autistic girl. I just know that my hubby will say it is finacially impossible for us. We did have results, though the changes were quite subtle, and our son also received special services through our school district, so the changes couldn’t be solely attributed to BB. As to whether we would recommend it or not? I think that’s deeply personal, as it’s expensive, and for us it was a huge disruption in our home routine. It was a hard decision! But we did experience changes and the standardized tests results we received after each session corroborated that. And it never occurred to you that they are the ones that create the tests, administer the tests and reevaluate your child? Brain Balance has repeatedly rebuffed any and all attempts, even if every person, doctor and organization has offered to sign NDAs. There is a reason when a child is mentally ill, there is a “psych team”. It generally consists of a pediatrician (MD), therpaist, neuropsychologist (medical training), neuropsychiarist (even more medical training) and days and days of testing for intelligence, processes, etc. Because an hour in time is an hour in time. Any parent of a mentally ill child can tell you that there are some hours, some days, or even weeks where their child has trouble functioning at school, then they just zoom up one day. Further, if there are even more serious issues, you will add information and testing from OT’s, PT’s, BT’s, etc. Because not only can you not measure a child with the tests Brain Balance measures, their tests aren’t tests. They aren’t administered by even the same standards. One parent in one franchise has taken her child to a different one under a different name for an “evaluation” after her child completed the program the first time to “prove everyone wrong”. You know what the other center found? The new center rated her son lower than the first did before they started! (City Data forums, I do not know if it’s appropriate to post links so I’ll leave the source.) Which means one of two things: that her child, who supposedly gained umpteen grade levels in 12 weeks at the first center somehow regressed to an even worse situation after leaving the Center -OR- the tests are so horribly designed they are based solely on personal interpretation – that that administration and interpretation is not given by anyone who has attended a single class in mental health. They are barely minimum wage workers. If I take a tape measure and hold it loose around your waist – are you really 40 inches? If I wave my arms around you, chant a little chant and hold it tight on the next measurement and it says 34″ – have you really lost weight? If I told you I was a Doctor in astronumerical therapy… am I a doctor qualified to treat a mentally ill child? The IQ test initially given is not the same as you would get from any qualified neuropsychologist or neuropsychiatrist (though “Dr.” Melillo purports his is a “chiro neuro” – a field that doesn’t exist in medical science). If I ask your child to initially answer 10+11 and he answers 30 but the next test I ask 2+2 and he answers 4, has this “increased” his processes to do math? No, I just asked easier questions. Their “grade level” assessments aren’t even remotely up to the state standards where your child would be in a functioning public school, let alone the advanced curriculum in private schools. Furthermore, they don’t measure any substantial markers in a child. Do you know how silly adults look when they crawl? That’s because we don’t do it, we grew up, we evolved. In fact, forcing the child into this “neonatal testing” – tests that measure capabilities of a newborn (yes, they are using this and applying it as high as teenagers) can actually regress them in their travels. If you finally get off the bottle and give your child a cup, do you go back to the bottle when they have trouble sipping through a straw? No. I have evaluated the treatments many parents have claimed (including “curing autism” – something Melillo had to remove from his marketing materials by law). Things like “crawl therapy” with a lot of science-y sounding words with no actual scientific definition by stating the child’s brain stem didn’t grow enough because they didn’t crawl enough. Vision “therapy” that can induce permanent vision impairment in children is serious business. A few optometrists have raised very, very serious lifelong damage concerns with their “single eye dilation” exercises. Further, even if I could overlook all the above, the fact that Melillo won’t open a single center for observation or evaluation, does NOT accept any kids with defined issues and has a higher acceptance rate for those who have no services prior (meaning, no other therapies attempted), and even if I could accept that for whatever reason giving yourself a title from your own “school” you incorporated that has no school facilities – the fact he has hired an expensive NY PR firm should thrown some serious, serious questions out. Let’s forget the long ago debunked science of “left brain, right brain”, especially since we have the advanced technology with imaging scans showing the connections and both “sides” of brains work at processing even a single sound and the information travels over ventricles, the corpus callosum and multiple other electric pathways. If you buy into this therapy, you would have to buy into the centuries old belief that deaf kids are stupid. As it should be noted, you also mentioned his text on Einstein. His text is a complete fabrication, as it, a single word of it is completely untrue and he falsified this info on Einstein to make him appear more credible. “Einstein attended elementary school at the Luitpold Gymnasium in Munich, where he excelled in his studies. He enjoyed classical music and played the violin. However, he felt alienated and struggled with the rigid Prussian education he received there. He also experienced a speech difficulty, a slow cadence in his speaking where he’d pause to consider what to say next. “This paradox led him to write his first “scientific paper” at age 16, “The Investigation of the State of Aether in Magnetic Fields. Albert was left at a boarding house in Munich to finish his education at the Luitpold Gymnasium. He completed school, even early after he left to dodge the military service. In other words, not only did he miss more than a year of school (completely unrelated to his intelligence), he then completed it after scoring exceptionally well on college entrance exams. You can get deeper into his life with many biographies, but by no means was he “so lost he worked at the patent office”. He worked there because he couldn’t get a job as his teachers hated he was smarter than they were, thus refused to give him a good recommendation, and his citizenship issues dogged him for a few years, even still, while working there, he finished his doctorate – not graduate, that’s an American thing – which included his Theory of Relativity (it didn’t happen “several years after”), it was quite literally part of his thesis to get his degree. If Melillo fails this basic “BS meter” test on quite easily proven information such as Einstein’s life, how in the world can he possibly – as a chiropractor – get a reliable program for mentally ill kids? If he can’t research arguably the most noted scientist in history, how in the world can he research methodology? What else is he lying about? It’s one thing to lie about his credentials (he has NO ties to Harvard and his one text mentioned there was a cautionary tale in how it was a scam), it’s even another to lie about all the “research” that doesn’t exist or is a century old. But lying about something so readily available as Einstein’s life? Takes a special money grubbing narcissist. My daughter who is 6 years has ADHD. Our main issue is the focus. We are going for evaluation at brain balance but I am very skeptical about it. Is it possible I can chat with you for few minuets to get your feedback on that program before enrolling in. I would agree with you, regarding this program’s tendency to “embellish, distort or otherwise skew” information it delivers as fact. It goes without saying, that this company is not doing much in the way of instilling confidence in prospective client’s about BB’s competence. That being said, Sad, When a child’s processing/memory skills are not on par, in addition to having a severe math LD, EFD, ADHD, MD ETC. But yet maintaining average or in some cases higher than average in some levels/branches of his IQ and having been evaluated, tested, counseledby abundant and highly accredited psychologist, psychiatrist, neurologist ( confirmed that issues were not neurological in nature ), behavioralist etc. etc., for many years, and to no avail. What would you recommend, as viable alternate avenue of pursuit, for these dedicated parents, like myself, who are desperately searching for some semblance of relief for these hurting children, when conventional wisdom simply is not working? I have also just begun looking into the program. The portion I found especially interesting is the “Own A Center” part of their website brainbalancecenters.com. According to the website no credentials or degree of any kinid is needed to start your own center. They report that they provide all of the training needed. To me it is pretty scary to think of my multiply disabled child being provided “therapy” by uncredentialed individuals who could have yesterday been working at a discout store. It is frustrating to find something you think may help your child only to be left with more questions. I have requested that our Neurologist give us his take on the centers and if he has heard of “Brain Balance Therapy”. I was wondering if your neurologist was able to give you any insight into the program. What did he/she think? I have an 11 year old daughter that I am considering putting in the program. My biggest problem is putting up all that money! I am afraid of spending all the money and it not helping her out! I have an 11 year old son and I was thinking of putting him in the program. I have come across a few articles that do not speak highly of the brain balance program and was wondering what your personal experience was like. Did you see any worth while results with your son? So many of you have reached out via the blog and via email for guidance about whether to pursue Brain Balance for your children. It’s so hard to hear your stories and your desperation, which (in many cases) mirrors our own. I have been working on a follow up blog post to address many of the questions I’ve received. But the blog has languished of late so I’m not sure if / when it will ever get finished! In the meantime, the short version is that (knowing what we know now) I don’t think we would do it again. It was SO expensive, for one thing – and extremely disruptive for us due to the distance from our house to the closest center. We did notice some interesting changes during the program – for example, in the first few weeks our son commented on and reacted to smells in the house a way that he had never done before. But I’m not sure other changes were as substantial, nor lasting. The most valuable thing we’ve done is remove gluten and dairy from our kids’ diet, and get their genome mapped so that we can address underlying issues with their biochemistry through food, supplements, and ultimately medications. Sorry I don’t have more encouraging things to say. Question: Have you taken your child to see an Upledger’s Craniosacral therapist? This might be affecting your child more than you may imagine. Reading all our comments….sounds like the USA has do much available in support of ASD. Natalie, nice to hear your son has made some changes with the Brain Balance …..I have given the thought of coming to the USA for the programme but not yet convinced !!! In the first edition of the book, there’s no chapter about Primitive Reflexes, how to check them and what to do, so I visited a specialist on Brain Balance to complete this part. I got 11 new exercises to do intensively for 2 to 3 weeks. I also got more exercises and ideas on how to combine activities to get better results. Because we are recovering from Autism, our Brain Balance journey will take longer than the three months needed to solve a normal ADHD case. That’s what the expert said. Well, this is a Marathon, and at the end the Finish line is waiting for us, so lets just start running. One day we’ll get there. You know how time flies by. We just got done with our initial assessment today at BB. When I happened upon them it seemed too good to be true! Everything they were talking about seemed to hit the nail on the head in regards to my son and the struggles he has, as do we. We went in for our 3 hour ($300) assessment, met with the staff and manager, went over all of the information on what they do, how they do it, the program (how many weeks) and what is needed as well as scheduled our follow-up appointment with the center director to go over the findings from the initial assessment. My husband was there with me as well, typically he is more of the medical believer and takes a while to open up to an option on non-medical, I could see as we were sitting there talking his mind was opening and he seemed really very interested in the program. Then we got down to the nitty gritty, the price of the program. For our 6 month (3 times a week, an hour each day) they quoted us at $12,500! I literally couldn’t believe it! While I new going in that it would be a bit pricier than other places might be and that insurance would not cover it, there was no way in the world I could have expected it to be that much, just no way. There was a payment plan option, $3500 for the first deposit, then $3000 at 30, 60 and 90 days, even that wasn’t possible or you could finance (if you got credit approval). I wasn’t looking for services for free, but there had to be a better answer than the three above! I’m sure many of you parents feel the same way I do, that we are our children’s biggest supporters, advocates and caretakers and that we do all that we humanly possibly can to help our children but at almost every turn there is a huge roadblock, let down and complete disappoint that ensues. Not to mention that if the first go around doesn’t work you are looking at even more for a second go around and there is not a 100% guarantee that it will work the first or second time. We are now left feeling defeated but definitely not down, we will find more answers for our son and alternatives to help him in his journey as he navigates having Global Developmental Delay with Autistic Tendencies, Speech Delay, Sensory Processing Disorder, Cognitive Delay and Learning Disabilities. I will never stop fighting for my child and will eventually find something that works for our family. Good luck to everyone taking a look at the program and deciding if it is right for your family. God Bless you all in the fight for your children! Thanks to the many, many of you who have written in with your feedback, questions, and inquiries. Unfortunately, I am not able to address them all. However, based on the questions I’ve received from many, many parents, I did write a follow up post, which you can read here – https://nataliehanson.com/2017/04/11/brain-balance-follow-up/. I wish you the best of luck to you as you find the right treatment path for your own children. Thank you so much for all your feedback. I was so close to putting up money for this program. My son saw tremendous gains through ABA and this program seemed a similar brain training. I just wish Brain Balance would realize that all parents would try their program if they lowered their prices to reasonable tutoring prices of $20-$30 per hour, not $187 per hour. They basically use some occupational therapy and i-ready computer program which we can do on our own. The only main difference is their eye tracking. I would not mind trying it if it was reasonably priced and I hope Brain Balance will take note of that or they risk being shut down due to lack of clients. It is sad that they are taking advantage of desperate parents who have already gone through so much with the diagnosis. I think it is also important to understand that there is greater evidence that vaccines are the cause of the autism and adhd, no matter how much the CDC tries to cover it up. See VAXXED.com for more details. Thank you for your feedback. I agree with you. Yes, both our kids are vaccine-injured, and we’re hoping addressing that will be a long-term path to health for all of us. We are following the Andy Cutler Chelation (ACC) protocol, which you can read about elsewhere on my blog. I am going tonight for my son’s follow up result meeting. I am a ball of anxiety. I guess I feel so apprehensive because to spend all this money and know that 75% of the program is on me and I couldn’t help him before which is why I even went through with the assessment. I just want to give my son the best. He is 4 weeks into 3rd grade and already struggling. He hates school and with the amount of homework they send home the evenings are painful. His retention is little to none and his motivation is nonexistent. Thank you for this article and I will continue to check back. Hi Natalie, thanks for your note. If you haven’t already, please read my Brain Balance follow up post, here – https://nataliehanson.com/2017/04/11/brain-balance-follow-up/.